Chronograph Michael Kors Watch MK5550. 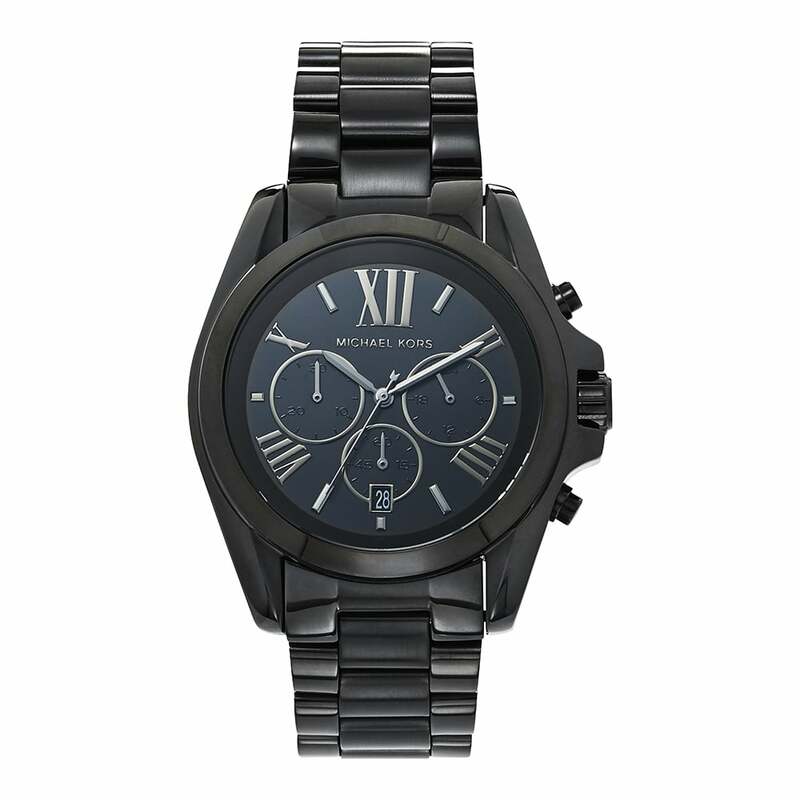 This Unisex black Stainless steel Michael Kors designer watch is the ultimate in designer watches. The MK5550 Unisex watch has a desirable black ION plated Stainless steel strap, date feature, 42mm case, black dial with chronograph display and water resistant up to 100 meters. This watch is manufactured to the highest standards, with quality and attention to detail in mind. The MK5550 Michael Kors watch is for men and woman. It comes complete with a Michael Kors Watch presentation box. This Michael Kors black stainless steel watch comes with a 2 year Tic Watches warranty.